A Simple test ….do a Google search using the keywords that describe what your organisation does and see how your website performs. ‘Crisis PR in Ireland’ , ‘PR firms in Dublin‘ …. Do your own search for your relevant keywords and see what happens. Include your location in the search, which is what most people normally do when they are searching. From a business point of view it makes clear sense that if someone is looking for what your organisation is offering that they find you easily online. 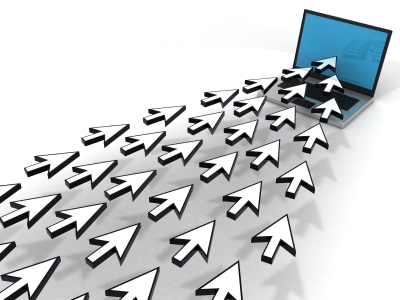 The very best way is for your website to perform for these ‘key‘ searches organically or naturally. If this is not the case your website is more than likely not properly optimised. If you have done all you can to optimise your website and it is still not performing well enough then it makes sense to implement a Google Adwords campaign to ensure your website is appearing for ‘key’ searches in a prominent position. While your website performance is essential for business is this the only reason your site should perform well for searches? I feel another big reason your website should perform well is that it is an integral part of your overall brand. This might seem like an unusual reason at first as we normally thing of ‘descriptors‘ when we discuss someone’s brand attributes. 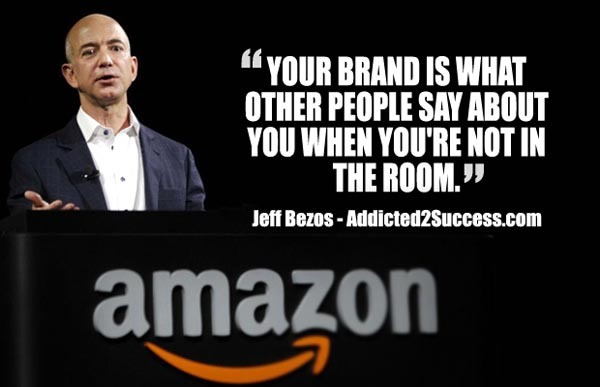 Jeff Bezoz of Amazon described a brand as ‘what other people say about you when you are not in the room‘. While it might be up to others to describe you this can clearly be shaped by how you portray your organisation through your actions, behaviours, products, services and all the visual cues or representations of your brand. Your website plays a key role in this, not just in how it appears but also where it appears when searched for. It’s difficult to appear as a ‘leader in the sector‘ if a random Google search for the services and products you provide has you appearing well below your competitors or possibly so far back on the search results you are not found at all. If this is the case you need to optimise your website, which is mostly a very straight forward but methodical process and if necessary support this with Google Adwords pay per click advertising. Where you appear is just as important as how you appear! Missing the low hanging fruit! Waiting for the penny to drop! “If I do a search for what we do online we’re nowhere to be found” barked my client down the phone. This was obviously a big deal to him as well it should be! 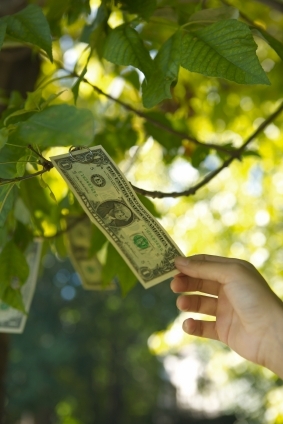 After all this was the low hanging fruit – the potential customers out there who have already decided that they want what you are offering and are searching online to find it. “We didn’t do your website for you, it hasn’t been optimised properly which is part of the problem and if you make a few simple changes it will make a big difference” I explained. “Ok, ok, I must get onto the website crew” he eventually calmed down, “Is there anything we can do for now?” he asked. I suggested a Google Adwords campaign to ensure he had a web presence (in adverts) where key search terms were used – at least until his website would start performing organically. He was right – for his sector a strong web presence was an absolute priority. We quickly put the Adwords campaign in place and this corrected his lack of web presence immediately. For a reasonable daily budget we ensured that all relevant web traffic found his website and this was done on a pay per click basis – you only pay when a user clicks on your advert and comes onto your website. A few weeks later we had a review meeting with our client – we covered the PR coverage and we also discussed the effectiveness of his advertising spend, which he was looking after himself. As I had set up the Google Adwords campaign for him I gave him a detailed report showing how many times his adverts were shown, how many times the adverts were clicked upon and the traffic that came onto his website as a result. We could see in detail the keywords and search terms that had generated the most traffic and the cost of each of these. Budgets were a little tight he explained because he had committed to a long term advertising plan (obviously to a good salesman – or woman as it turned out to be) with a particular publication (no problem there) and a local radio station (totally wrong demographic ….but he got a cracking deal!). “I want to stop my Google Advertising” he declared. Hmmm, “No problem, but you do know when we stop that advertising when anyone searches for you online, they just won’t be able to find your website? ” I explained. “I want to stop it” he repeated. His sudden stance staggered me – despite the previous declaration of intent by this fairly clued in operator he still opted for an advert that he could see in the paper and hear on the radio rather than pay for this online Adwords “stuff” that absolutely guaranteed a web presence for hot leads, the low lying fruit! I had nothing to gain from the argument, I had explained the “risk” as clearly as possible and he had just made up his mind. I heard a really funny story from a client of ours who was dealing with an elderly couple. The gentleman asked one of his salesman a question about one of their products. His wife told him not to be bothering the salesman as he was too busy – “When we go home we can Doogle it” she said. The salesman bit his lip as he tried not to burst out laughing but it does show you how we all use Doogle.. sorry Google to find what we are looking for these days. We use Google Adwords campaigns for many of our clients and I even lecture for the Digital Marketing Institute on the topic of Pay Per Click advertising, of which Google is the main player. I call Google Adwords “Sniper Marketing” – when executed properly you are able to target anyone online who is looking for exactly the products and services that you are offering. If your website is not being found online when one of your possible prospects does a search then you are simply “not in the game”. With a combination of a well optimised website, supported by a Google Adwords campaign you can ensure that you don’t miss any of that important online traffic. The big problem as I see it, is that a Google Adwords campaign is too easy to set up yourself! With a few clicks you can run adverts on keywords you start bidding on, and before you know it your credit bill is creaking.. often without a lot of success. I was that soldier until I found a guide to Google Adwords many years ago written by a guy called Perry Marshall. After downloading this guide I quickly realised what I needed to do in order to create value for money campaigns. With Perry’s advice I learned how to create effective campaigns at the lowest possible cost. Operating successful Google Adwords campaigns requires skill, knowledge, hard work and practice and Perry’s guide set me on the right road. Recently I came across an updated version (3rd Edition) of “The Ultimate Guide to Google Adwords” and this time Perry Marshall has enlisted the help of Byran Todd, another experienced marketing consultant and adwords specialist. Google and the online world in general has moved on and this guide brought me nicely up to date with some of Google’s new features and opportunities. The basics are explained in a really practical and interesting manner – study these and put them into practice on your campaigns as you work through the guide. The guide also offers other resources for deeper analysis and insights. The guide touches on other areas such as web optimisation, social media and a benefit I did not expect was a lesson in marketing! Follow the advice and you will learn even more about your customers and the magic words that will have them making enquiries and placing orders. I’ve already applied the learnings to both our own and client campaigns and I can see the improvements. If you are are contemplating a Google Adwords campaign or you are already running one I can guarantee you that this guide will save you money and help you achieve better traffic and results. Thanks Perry and Bryan for the refresher course – you have made me a better “G” man! 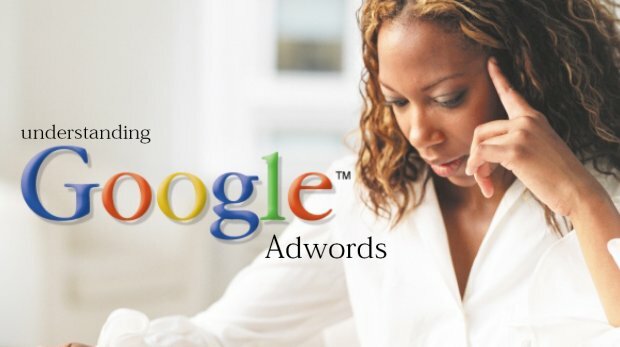 Fuzion offer Web Marketing Services for clients including the management of Google Adwords campaigns.